It’s been a busy and exciting 12 months at the DB2 Geek towers. Before we start the annual celebratory fun we thought we would take a look back at our most notable achievements, events and blogs of the year. What a great way to start! In January three members of the Triton Consulting team were named IBM Analytics Champions. Find out what Mark Gillis, Julian Stuhler and Iqbal Goralwalla had to say about their achievements. Nominations for the 2018 IBM Champions are now closed and the 2018 Champions will be named in January. Good luck all. Hot on the heels of the IBM Champions announcement great news was promptly followed by the confirmation of this year’s IBM Gold Consultants. Iqbal and Julian were thrilled to be recognised again this year; Julian has been an IBM Gold Consultant since 1999 and it’s a second consecutive year for Iqbal. Julian was also nominated for the IBM Gold Consultants Steering Committee in March, helping to shape the programme and promote mutual value between IBM and the consultants. Congrats both. In other news, Triton received some really positive and supportive feedback from new and existing clients, including a recommendation from the UK’s leading specialist warranty provider Domestic and General. Find out what Julie Dennis, Director of Solution Delivery at D&G had to say about the support and service she received from Triton in 2017. In March Triton partnered with Triangle Computer Services and successfully completed a Services led engagement with a leading retailer based in Ireland. Here’s a brief overview of the project. Our Midrange team also worked with a major 24/7 online delivery service company supporting them with an upgrade from DB2 9.7 to DB2 11.1. The client is now on a fully supported DB2 release and the next phase will be to exploit the associated new function and to ensure that service is fully maintained during what is now the peak trading period of Christmas. Things have been pretty busy on the mainframe side as well, with extended DB2 for z/OS consultancy assignments at several major UK financial institutions as well as a major System Z infrastructure review for a new Swiss client during the summer. July brought with it an unexpected announcement that was either the most or the least significant of the year, depending on your point of view! For reasons that the Geeks are yet to comprehend, IBM decided that “DB2” would henceforth be known as “Db2”. The Geeks’ views on the rebranding exercise range from weary acceptance to dogged resistance: take a look at the spelling within this post (and throughout the rest of the site) and draw your own conclusions about which view prevailed! 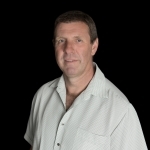 In August, Mark Gillis was promoted to Principal Consultant. 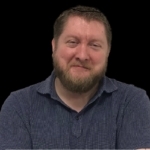 Mark is one of Triton’s long standing DB2 for LUW specialists, and will be sharing his performance tuning tips on the last DB2Night Show of 2017. 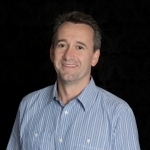 You can catch his presentation DB2 11 Performance: BLU Hits and Misses on Friday, 15th December. Don’t forget to register for this popular webcast here. The 2017 IDUG EMEA Technical Conference was certainly a memorable one, not just because of the rooftop terrace and swimming pool. Earlier in the year we were proud to announce that Iqbal had been appointed Vice President on the IDUG Board of Directors. Find out more about the Board of Directors and Iqbal’s role. Find out more about our IDUG adventures here. From one successful event to another. IBM and Triton Consulting teamed up in November to run the “sold out” event, DB2 Day for Linux, UNIX and Windows .The one day, face to face event, presented by George Baklarz, IBM DB2 Program Manager covered the latest enhancements to DB2. We are pleased to confirm that we are in the process of organising a new DB2 Day in April. If you want to sharpen your DB2 knowledge we suggest subscribing to our newsletter or join our LinkedIn group to get all the latest updates. 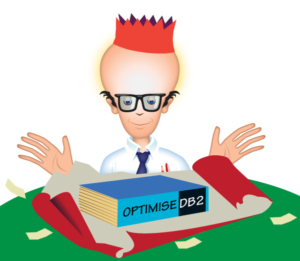 Upgrading to DB2 11 for z/OS – 22 Things to Think About Now! 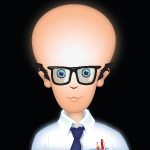 Client Connections in a TSA/HADR Environment by Damir Wilder, Grumpy Old Geek series by Mark Gillis and not forgetting Mark’s more recent series of blogs Finding the Access Path to Columnar Queries. Perhaps you have some highlights or Top DB2 blogs that you’d like to share. Please do let us know. That’s all for 2017 folks! So from all of the DB2 Geeks, Merry Christmas, Happy holidays and a Happy New Year all. Oh, and don’t forget we’ll be providing support to our clients throughout Christmas and New Year, because that’s what we do!